Thank you all so much, I am speechless with gratitude for the response that this fund received in such a short time. When we reached the projected total for the repair of the pergola the parks department asked us to close down this fund. 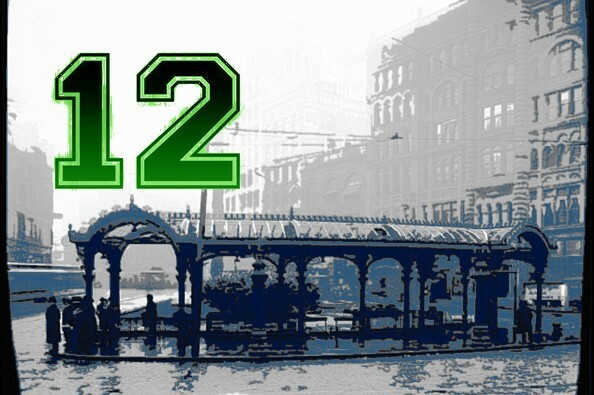 Just because this fund is closed does not mean that you cannot show your support for Seattle, Seattle's beautiful parks and show your 12th Man spirit. Here is a link to the Seattle Parks Foundation continuing fund drive . Thank you again for your amazing and overwhelming enthusiasm and support. Let's give the parks department some help in replacing the things we broke, and show that the Seahawks truly have the best fans in the league. You are an amazing community. Yes, $25K was raised for the Seattle Parks. $10K of that was a donation made directly to them from an amazing car dealership. We'll post who they were later tonight. THANK YOU. In addition, if you still want to donate here is a link to the Seattle Parks Foundation. We are grateful that the Seattle Parks Foundation is accepting today's gifts so graciously. It certainly has started quite a conversation about all things fundraising. Most important, know we THANK YOU; we loved doing it and Seattle is a great place to live. We love you, fans. Huge news! Seattle Parks has received a $10K donation. We are AT THE GOAL!!! Thank you so much!!!!! We'll be posting more information and thanking everyone who participated. Fantastic. Thank you, 12th Man! Almost $10K. We are speechless. Thank you. I hope this reopens. I would love to donate! Ya know what? This thing is going viral. Up the goal. Let's fix the pergola and get Seattle parks a little more cash for whatever they need. Don't turn down the Volume 12 too early! I believe it is because Seattle Parks received a $10,000.00 donation directly to their offices. So, combine that with the existing donations that poured in here, and the $25,000.00 goal was met and then some! @AJ read the most recent update from the page. If the damage costs$ 25k+, why did the donations stop at 16k? Still a $9k difference. I wish I had donated before it closed so I could have been part of this, but this is awesome and the true 12th man spirit! You should keep up the collections and not only fix the Pergola, but donate the additional to the Parks Dept and have them add in a Seahawks sculpture! Improve the entire square area! Just about that action, boss. I was standing near the Pergola when the damage happened and I can attest that the broken glass was done accidentally by the people walking about on top. The damage was not done to intentionally harm the city. I am happy to contribute to the cause! Maybe, the Seahawks will pay this. Seeing that the fans were willing to pay some of the players fines? Just saying.... I've posted like crazy everywhere about this! Keep it going!! I'm a Niners fan of all things and I want to help as well. It's not much but I hope it gets you closer to your goal. Congrats on your win, and I hope this helps. I just tweeted this to Paul Allen! Awesome solidarity 12ths! Let's show the world that Seattle is conscientious and responsible as well as dominant! Go Hawks! Please get this site to the news media so that they can help promote! 12 times 4 for the 4 members of my family Suraj, Dhanya, Diya and Simba GO HAWKS!!! While I do not condone the actions of a few. I am and always will be a "12" for life! I'm very proud of my town! This "beautiful City" Let's keep it this way! Let's Show some Class! SoCal 12's representing! Can't wait to get back to WA. Wish we could be celebrating with you all in seatown.